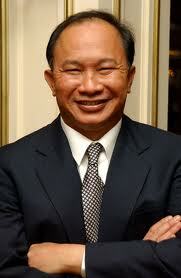 Home » type » Movie Director John Woo Has Throat Cancer? Movie Director John Woo Has Throat Cancer? Famed movie director John Woo apparently is being treated for throat cancer. The director of such movies including Mission: Impossible II is apparently undergoing treatment in the United States. However, he apparently "has been admitted into a hospital for 4 months" which leads me to think that his throat cancer is late-stage which usually requires both radiation and chemotherapy for definitive treatment. Surgery may or may not be required, though hard to say without more information.